This Is One Not To Be Missed! With 3 Double Bedrooms, Large Driveway, Great Sized Garden Complete With a Summer House - This Will Make The Perfect Family Home! 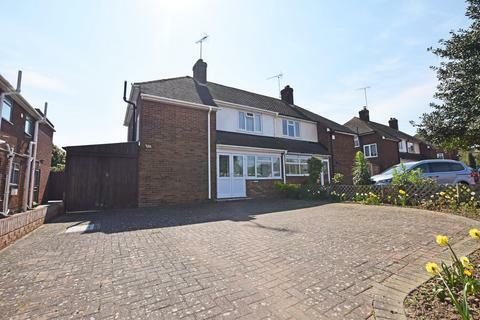 This 3 Double Bedroom Detached house has Lots to Offer, Its location is one of the Most Sought After in the area. 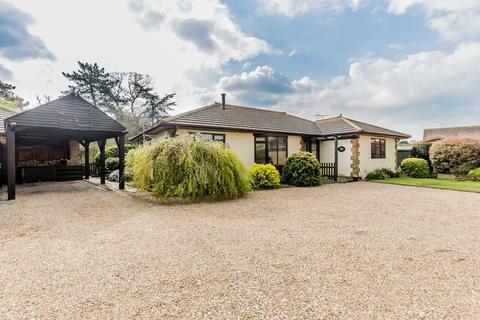 Internally the property benefits from a large entrance hall leading through to a great sized lounge/diner complete with a working fire, perfect for those cold winter evenings! the dining area is a great size perfect for family occasions and entertaining, with French doors opening up onto the garden. 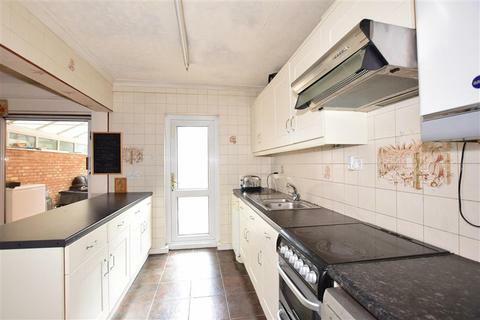 The Kitchen is a fantastic space with plenty of storage and lots of workspace, great for any budding chef's out there! On the ground floor you also have the larger than average master bedroom as well as the family bathroom. Upstairs you will find bedrooms two & three which are both BIG doubles with plenty of space so no arguments over who gets the smallest room! The garden also offers plenty of space with views of the North Downs. The current owners added a large summerhouse that offers plenty of additional space. Charles Drive is located well for both the M2 and M20 for easy access to the M25. Rail connections are provided at the nearby Cuxton railway station. Property reference SND180522. The information displayed about this property comprises a property advertisement. OnTheMarket.com makes no warranty as to the accuracy or completeness of the advertisement or any linked or associated information, and OnTheMarket.com has no control over the content. This property advertisement does not constitute property particulars. The information is provided and maintained by CWB Property - Snodland. Please contact the selling agent directly to obtain any information which may be available under the terms of The Energy Performance of Buildings (Certificates and Inspections) (England and Wales) Regulations 2007 or the Home Report if in relation to a residential property in Scotland. 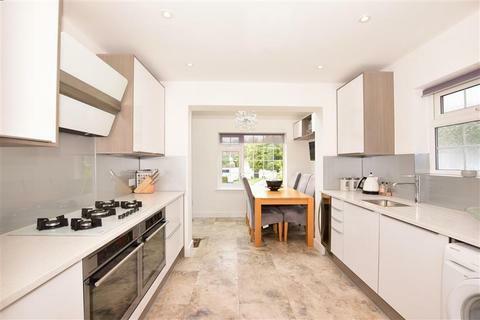 A quiet village lifestyle awaits the new buyer of this semi-detached house. A converted garage that can be used to suit your family needs and with a front and side extension there is plenty of space on offer. OPEN HOUSE SATURDAY 27TH APRIL 2019 - by appointment only. A spacious semi-detached house with 2 reception rooms, two shower rooms, conservatory, off road parking, close to amenities such as schools, Asda, coop, bus and motorway links.